Small businesses are especially close to my heart. When he retired from teaching, my father ran a small art company in Maine, and I saw firsthand how fulfilling — and how difficult — it was for him to realize his dream of running his own business. Unfortunately, his business closed its doors after just a few years. His key challenge: attracting qualified customers. Many new businesses face similar challenges, but the power of technology can help business owners find the customers they need. Whether you’re a fledgling entrepreneur trying to turn your passion into a profit or an established enterprise trying to get to the next level, internet tools like Google AdWords are the key to being there when customers come looking for you online. Like most first-time parents, my life completely changed when my daughter Hillary was born in 1993. My wife Janet and I decided that one of us should stay at home to care for her while the other continued working full time. Janet kept her engineering job, and I ended up quitting my job as a Wall Street bond analyst to become Mr. Mom. Later, when Hillary started school, I had more free time. It seemed like the perfect chance to do something I’d always dreamed of: launch my own business and work for myself. I started selling themed plates and lunchboxes at New York City street fairs. Then in 2001, eight-year-old Hillary showed me (her non-tech-savvy dad) how to turn on a computer. That was the beginning of taking the business online, and realizing a whole new world of possibility. 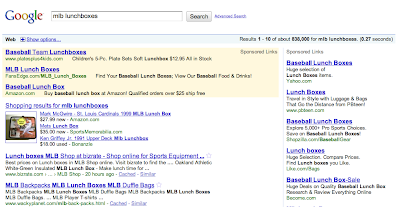 Janet and I worked together to build a website, PlatesPlus4Kids.com, and we started advertising online with Google AdWords. Soon, my little project became a full-fledged venture. By advertising on the Internet, I was able to reach interested customers not only in my area, but all over the country. More and more people found my store through online searches. In no time, I had so many orders that I could no longer keep my inventory of themed cups, plates and lunchboxes on the kitchen table. The stock moved to the den, then the basement, and finally to a warehouse 20 minutes from our house in Little Neck, New York. Over the years, I've also expanded my product line and now offer children’s backpacks, umbrellas, flatware, snack containers and sandwich boxes. What started as a hobby now brings in about $500,000 in sales annually. I only pay when people click on my ad and go to my website, so the cost of marketing is within my means. I increase the budget during the back-to-school season and the holidays (my peak periods) so my ads show above the search results during those times. I've also noticed that customers seem to be in a shopping mood on Mondays and Tuesdays, so I sometimes increase my budget on those days to make sure my ads show up more. Depending on trends, I create new ads to promote different characters and new inventory. For example, now that Yo Gabba Gabba is popular and baseball season is starting, I'm making adjustments so that those phrases combined with words like “dishes,” “placemats” and “cups” trigger my ads. And of course, I have ads that mention items with princesses and superheroes — those are top sellers year-round. What's really great is that even though my business has expanded over the past seven years, it's still a small family company. Two people work for me at the warehouse, but I work from home. Janet takes pictures of the products and works on the website on the weekends. I've had the freedom to be a hands-on parent to Hillary and the privilege of helping other parents connect with their kids through my store. 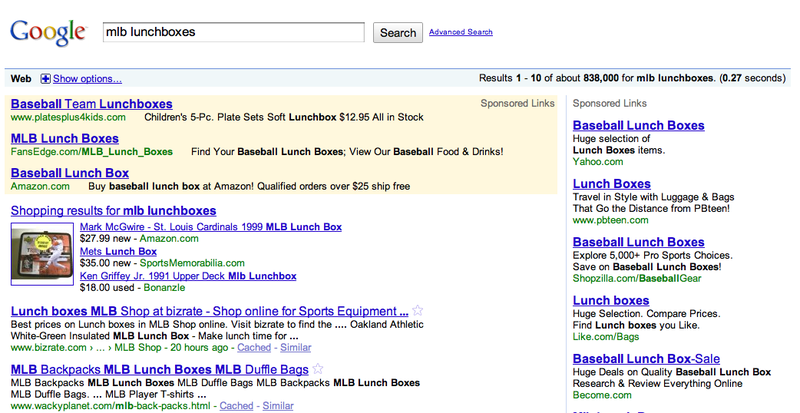 Certain celebrity parents have found me through my AdWords ads and bought items for their kids. I consider myself a pretty ordinary guy. When I started PlatesPlus for Kids, I had no idea it would become what it is today. It's heartening to know that by following your gut and putting in a lot of hard work, you can find a fulfilling second career. Or maybe a first one.